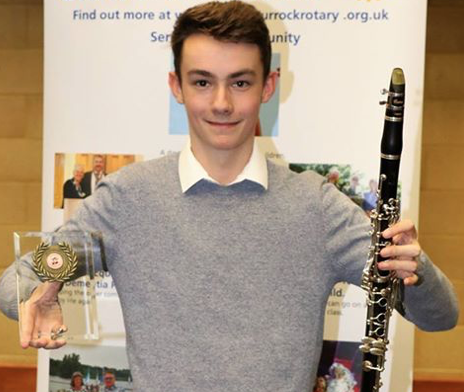 THE Thurrock Young Musician of the Year 2018 is clarinettist Ewan Ward. Ewan saw off fierce competition to win the coveted award at the competition held at the Gateway Academy on Saturday 1st December. Ewan now has the opportunity to compete in the district competition in Chelmsford in March 2019. The Young Musician Competition was organised by the Rotary Club of Grays, Thurrock Music Services and the Gateway Academy.